Sussex Police are currently on the look-out for wanted man Jules Siviter-Reid. Police said the 22-year-old was originally sentenced to 12 months’ imprisonment for conspiracy to supply controlled drugs in Hastings. He was released on licence on February 14, however he had his licence revoked on March 15 as he is suspected of reoffending, according to police. A police spokesman described Siviter-Reid as white, about 5ft 9in, of slim build, with brown hair and brown eyes. 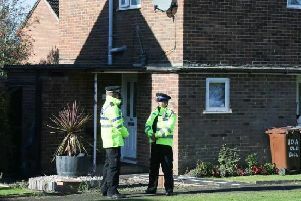 Police said he has links to Bexhill, Hastings and Bognor Regis, as well as Portsmouth in Hampshire. Anyone who sees him is advised not to approach him and call 999, or report it online quoting serial 459 of 15/03.